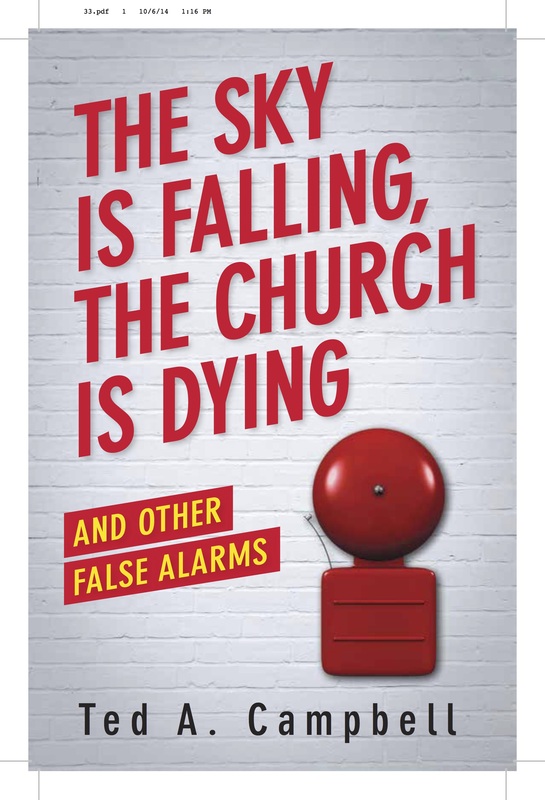 This week I received from my editor a sample cover for The Sky Is Falling, The Church Is Dying, And Other False Alarms. It’s kind of an outmoded alarm, but maybe we’re trying to say that the alarms about “the death of mainline Protestantism” have become a kind of, uh, outmoded. At the Publisher: The Sky Is Falling! It’s a bummer to wake up in the morning and hear that you’re dead.